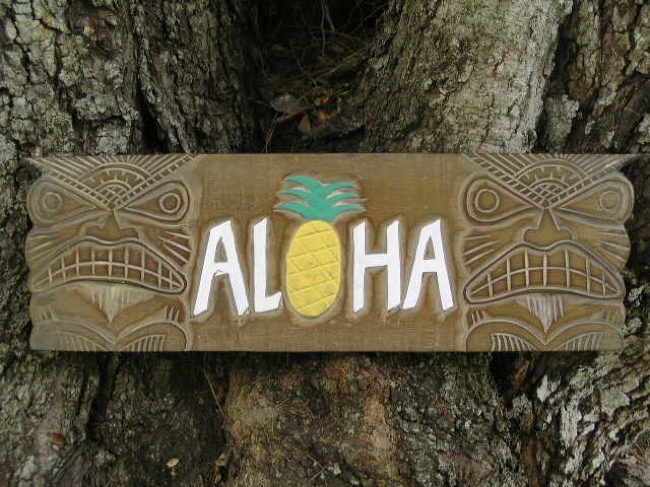 Here is a hand made Tiki sign ALOHA antique finish each letter of ALOHA is raised (hand carved) along with the pineapple in the middle. This great piece of handycraft measures 24 inches long by 8 inches wide (60 cm X 20 cm). Great gift idea! Perfect for your home decoration or your outdoor living area!